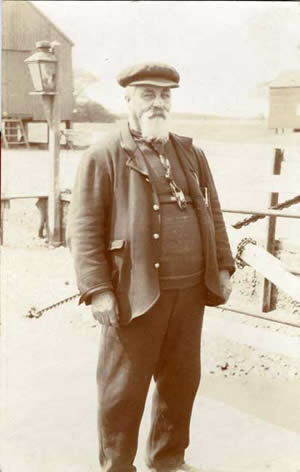 “My Great-Great Grandfather’s brother, Benjamin Cross (pictured below), was the first of the family to be involved with the Southwold Ferry. The family didn’t actually own it; it had just been taken over by the River Blyth Ferry Company. 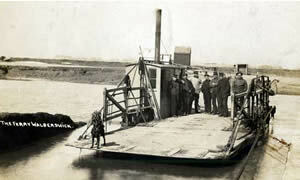 But Benjamin was the first operator to work the newly built, hand-cranked pontoon chain ferry in 1885. Then, in the 1920s, his son, Wessy, started helping and they were joined by my Great Grandfather ‘Old Bob’ Cross. 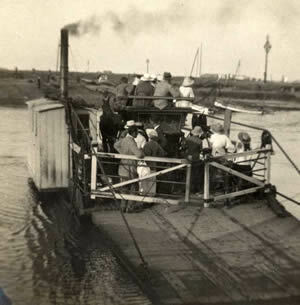 By that time, the ferry was powered by steam and carried vehicles and farm animals but was still chain-drawn. 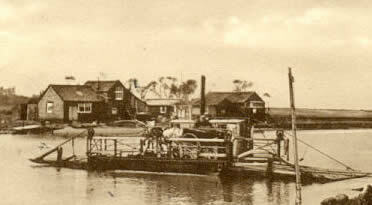 The steam ferry finished during the war and was decommissioned in 1942, but Old Bob managed to get the licence to run his own ferry using his rowing boat. Only when he was 83 did it get a bit too much for him. That’s when his son ‘Young Bob’ took over. He had a new ferry boat built in 1969. 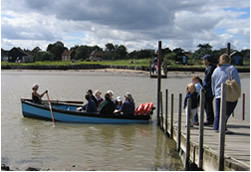 It was clinker-built in the traditional design of a Suffolk Punt which was originally used for herring fishing, He called it ‘Oud Bob’ after his Dad. It’s one of the two boats I row today. My dad was Young Bob’s nephew and he helped out as relief ferry man at weekends and busy periods. Dad had helped his granddad from the age of 12 but his ‘day job’ was running an agricultural engineering business. He also made the most wonderful hand-crafted leather sandals which he used to sell to passengers at the ferry landing stage. He was quite famous locally for his sandals and, as a kid, I loved the fact that he did this. He didn’t take over the ferry as a full-time job until 1992 when Young Bob retired. 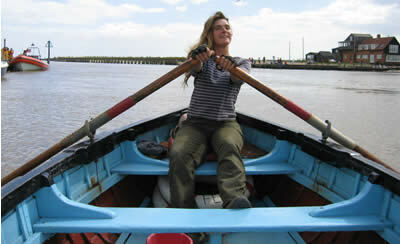 Bob carried on at the oars well into his eighties.